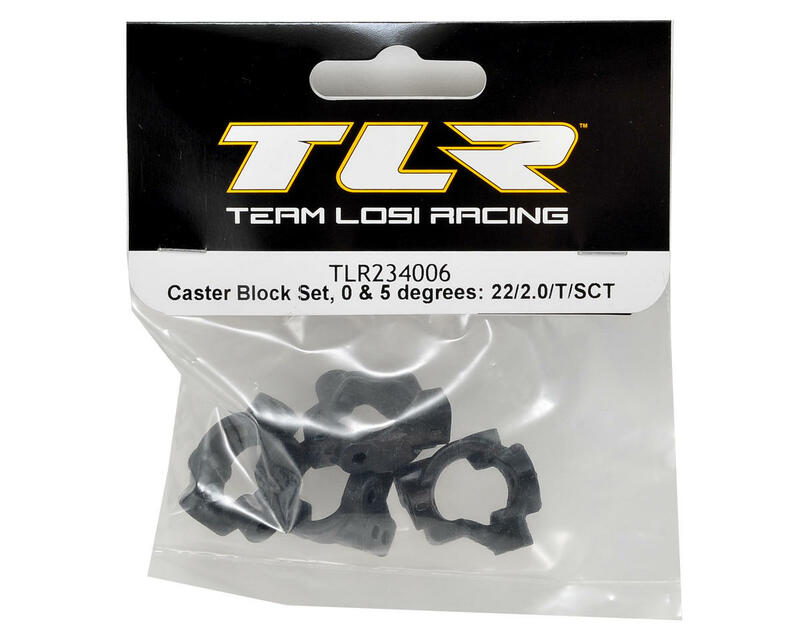 This is a replacement Team Losi Racing 22 2.0 Caster Block Set. This can also be used as an optional upgrade for the first generation 22 vehicles but must be used with the TLR234007 front spindles. Package includes two 0° caster blocks and two 5° caster blocks. 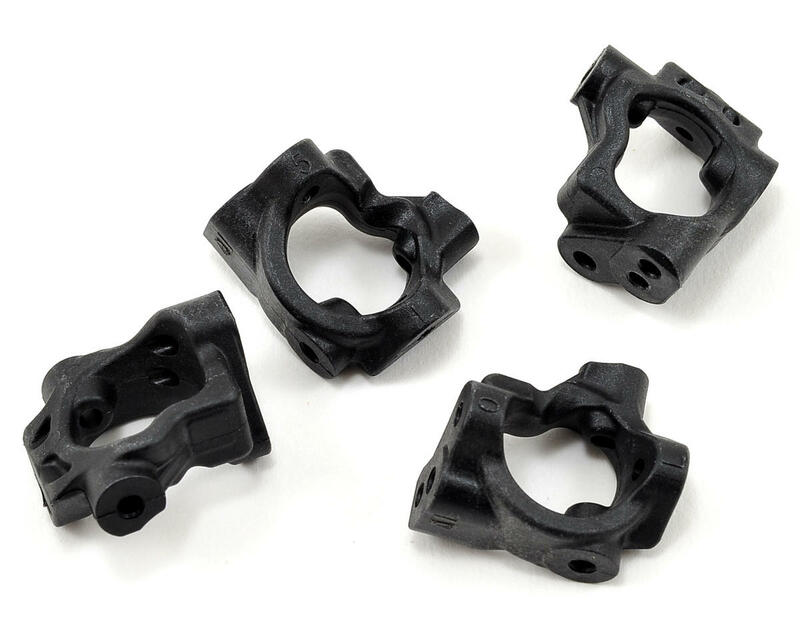 When the caster blocks are used with the updated spindles (TLR234007 - Not Included), they provide less scrub off-set, 4mm of trail with an updated outer camber link location to transform the handling. This helps to deliver a much more balanced feel, front to rear, that makes the car easier to drive and more consistent.